The Force awakens at The Carlton Club. Is Jedi your religion of choice? Do you love Storm Troopers, Ewoks, and doids? Then we’ve got the event for you! 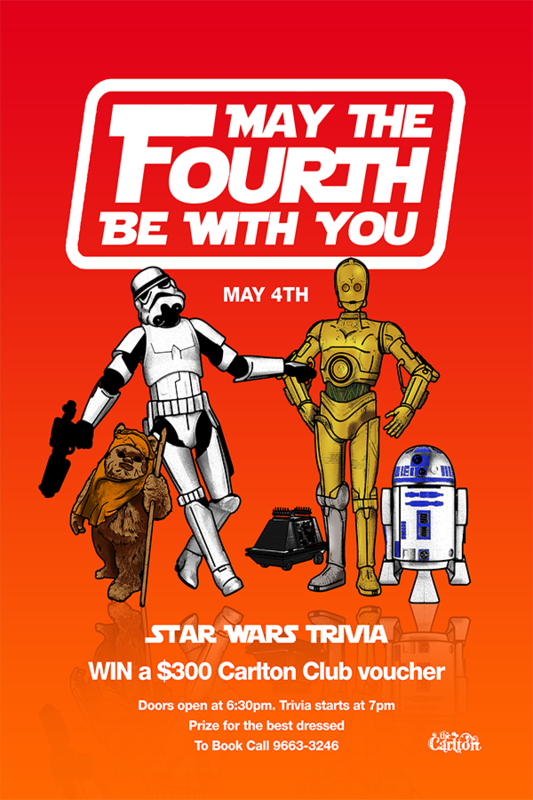 May the Fourth TRIVIA test your knowledge of the Star Wars universe. The winning team wins a $300 Carlton Club voucher. Best costume wins a mystery prize. Just because we love Star Wars there will be other prizes throughout the night.